After introducing its brand-new Samsung Cloud service with the ill-fated Galaxy Note 7, it service is being carried on. The Galaxy S7 and S7 Edge have already received the cloud backup service in the form of an OTA update last week. Right at the beginning of this week, Samsung is rolling Samsung Galaxy S7 and S7 Edge update for German users. However, the update comes with more than just the addition of Samsung Cloud as the official changelog suggests. Users have shared pictures of the latest Samsung Galaxy S7 and S7 Edge update, which highlights improved Bluetooth and NFC. The security policies have also been updated, but there is no news on whether the OTA update brings September security patch. Being considerably larger than regular updates from Samsung, expect a file size of around 210MB. Make sure that your device is charged at least 50 percent before you begin to download and install the latest OTA update. 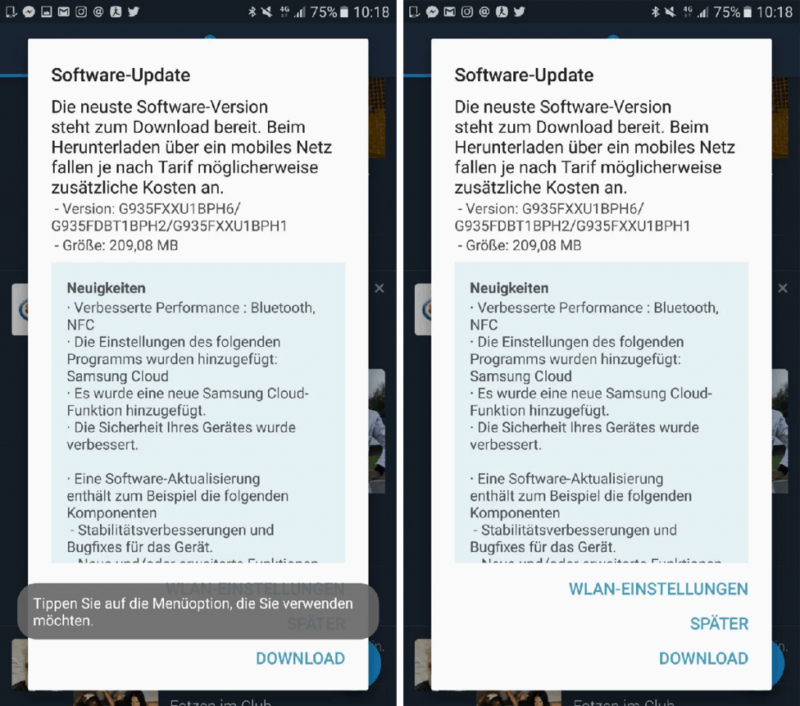 If you own a Galaxy S7 or S7 Edge in Germany, expect an OTA update to reach you soon. To check for the latest available update manually, simply open Settings->About phone->Software update->Check for updates. Are you among the German users who have received the latest Samsung Galaxy S7 and S7 Edge update? Do keep us posted on what the latest OTA update brings apart from the Samsung Cloud service.